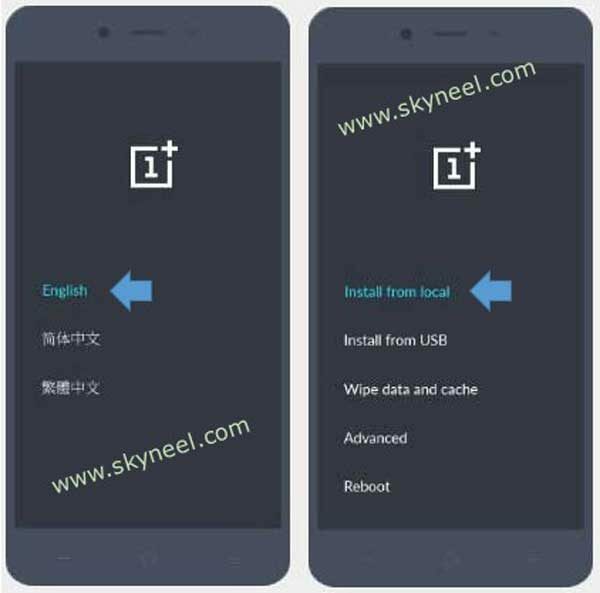 Hi, OnePlus launched OxygenOS Open Beta 6 stock Rom for OnePlus 5T. This is a OnePlus 5T OxygenOS Open Beta 6 based Android 8.0 Oreo and here is an easy and safe tutorial for install OnePlus 5T OxygenOS Open Beta 6 Oreo Stock Rom. OnePlus 5T has Brilliant 6.01 inch Optic AMOLED screen with 1080 x 2160 pixels resolution. This phone comes with superb build quality and innovative design. OnePlus 5T has two outstanding features Qualcomm MSM8998 Snapdragon 835 and Corning Gorilla Glass 5, it’s make this phone very smoother and faster. This is a OnePlus 5T OxygenOS Open Beta 6 Oreo Stock Rom and it is base on Android 8.0 Oreo Rom. Added Auto play – Autoplay paused music when connected to earphones. Added Broadcast caller information – Announce caller information when using earphones. Changes to alarm background color and other UI changes. Stopwatch updated with new UI. Added new membership card in Shelf. Updated Android security patch to 2018-04. Fixed issues with Default volume to adjust. 1. Take a Full backup of your OnePlus 5T Click here. Step 1: Download OnePlus 5T OxygenOS Open Beta 6 OTA zip files. Connect your phone to PC and copy the downloaded.zip file into your Phone Internal Storage. Do not copy downloaded.zip into any folder or SD card!! Step 3: Your phone is going to recovery mode. Now select language and click on install from local. 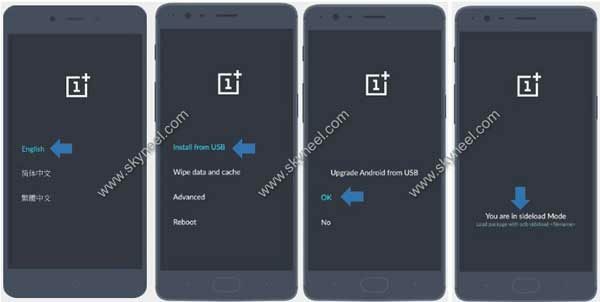 find downloaded OnePlus 5T OxygenOS Open Beta 6 zip file and click on. installing process is start. Don’t interrupt this process, it might to take 4-6 minutes. your phone is reboot automatically. Step 1: Download OxygenOS Open Beta 6 Zip file and ADB and Fastboot Tool files. After then copy OxygenOS Open Beta 6 Rom zip file into ADB and Fastboot Tool folder. After then press and hold shift key in the keyboard and right click in the extracted Fast boot tool folder and select “Open command window here”. See in this image. Step 4: Now connect your OnePlus 5T Smartphone with PC via USB cable and type adb sideload File Name.zip in the command window then press enter key. Don’t interrupt this process, it might to take 4-6 minutes. your phone will reboot automatically. After Install OxygenOS Open Beta 6 OnePlus 5T Stock Rom, you can root your phone because root allows you to use a maximum of your phone without any restrictions. After root you will install custom apps, Rom and custom setting in your phone. But first read Root Advantage and Disadvantage by this article then follow this guide to root OnePlus 5T. I hope you like this install OnePlus 5T OxygenOS Open Beta 6 Oreo Stock Rom installation guide from which you will be able to easily Install OnePlus 5T OxygenOS Open Beta 6 Oreo Stock Rom without any extra efforts. If feel any problem in this guide then please use comment box. Thanks to all.